We have further distilled all the information we have gathered during our street engagement process. We each presented our findings from the street engagement and site process. 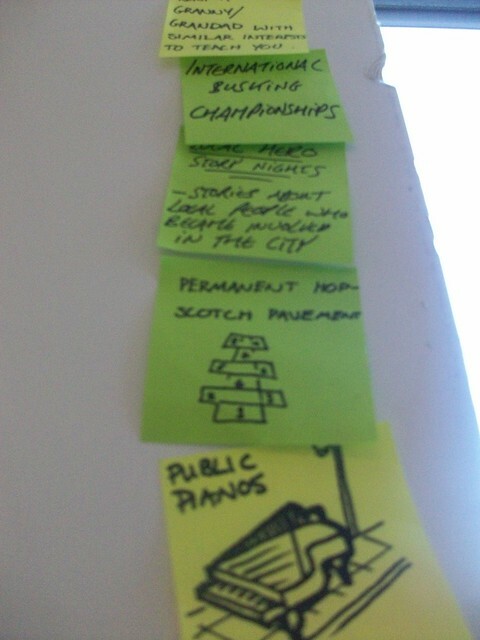 Then each team member wrote on a post-it what they heard with regards to the struggles/challenges of the Area. 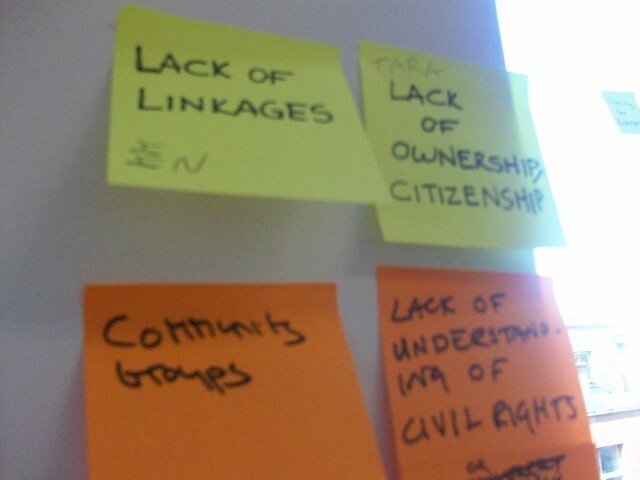 After each team member had presented, we then grouped all of the issues into different themes that we felt represented the core of the collective issue.They are called The Lack Of’s. We have 11 in total. Each team member then selected one of the above.We then had to further analysis the chosen theme. We done this by by taking the time to ourselves to think about all we had heard ,we then wrote on a post what issue/challenge fitted under that theme. A map was also created to show the way we thought communication happened in the Area.This was developed through the many chats we had during our street engagement process. I wanted to share this song with you all I was listening to it on the way home this evening. I have loved for a while. It was written by Pink she said “that the song was an open letter to the then President of the United States, George W. Bush, and that it was one of the most important songs she had written”. I think it is a very powerful and moving song. If you look deeper into the words I think some of them may fit into the challanges that are happening in Ireland and Globally. Google Pink Mr President if you want to hear her singing this song ,with full energy. We had the wonderful Anastasia Crickley in talking us to last Wednesday the 2nd February. She is a very inspirational person to me as she is the head of the Applied Social Studies Department in Maynooth where I completed my Diploma in Community & Youth Work. She is a very influential Woman in terms of her work in Community Development. She was one of the founders of Pavee Point she works continuously for travellers rights, she is also the founder of the Migrants Rights Centre. She sits on and chairs many committees on a national and international level.Some of these include Chair of EUMC management board in Vienna,Chair of the European Monitoring Centre on Racism and Xenophobia and she also works overseas with Irish prisoners who have been inhumanaly treated. Local procedures this involves engagement at a local level e.g. organising a clean-up,street festival, street party.These activities/ events should not be dismissed as they can bring about change over time. Policy change. This process takes longer to do as it involves changing the norm. Change the thinking. This is about changing the way people think and interact with their environment e.g using design as a method to promote change. Myself and Lindsay were on Near Fm to talking about our chosen area check out the podcast on http://www.near.ie/. Different members from the team are on every Saturday fromn 6-7pm talking about different topics. It was really exciting to do.John was very helpful in supporting us on developing the programme for the show,thanks to John. This week involved us looking more into the area. I spoke to more key people in the Community including the Youth Worker for the Markets Area (Kathy),Sergeant Barry, Declan from the Dublin Christian Mission( this is open to young people and adults from the community). It was great talking to all of them I really enjoyed it. I found out what work they do,what their challenges are,what they hope for the area. It was great getting to know them and lovely to see that they are passionate about their work and the area. Myself and Vincent also spoke to some of the young people that attend the Dublin Christian Mission after school club during the week.It was good to hear their voices and see their energy we spoke to young people aged from 8-12years. We also spoke to a 21year old who has been going to the Dublin Christian Mission since he was 7. He now volunteers in the club and he is actively involved in helping out and bringing the young people on trips to countries like Belarus and the next one is Morocco where they will be bring young people from Morocco to Franch ,he also teaches young people guitar. It was very inspirational for me to see that he was still linked into the mission at 21. Where do you live?, Do you play in the area?,How do you have fun in the area?,What is your favourite thing in the area?,How would you describe the area to a friend? ,When you are older would you live here?. I got clarity on the car park that is on the old fish market site. There was an incident where a young girl got hurt whilst playing by a car. The Residents lobbied for a safe place for their children to play. DCC gave the community the car park for a month to use as a space to play in. Basketball hoops were suppiled as part of this. But the tenants could not keep it going the following year to build on it due to insurance costs. Part 2 of the above research included team members teaming up and going out on the streets, to businesses, the markets workers. Myself and Ciaran went around talking to Community Supports. We spoke to groups and staff in the MACRO, Ken in SARI (Sports Against Racism Ireland) , HACE (Henrietta Adult and Community Education Service). To discover more during our chat: we asked what they do? ,what they think the challenges are?,How has there work gone towards addressing these challenges?, what they think of the Market?. 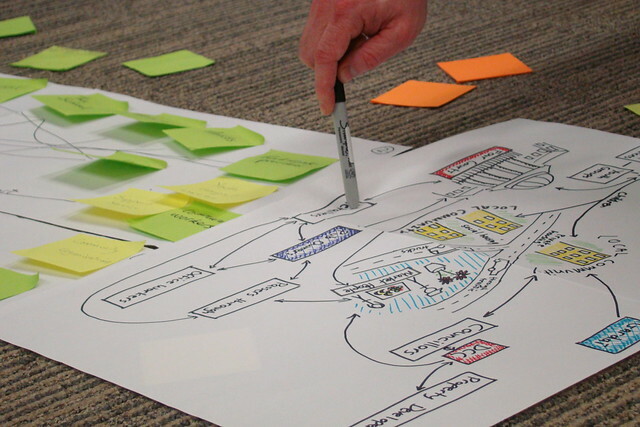 It was important to get a sense of where the community organisations are at in terms of their own work. Now the next step is to look into ways of addressing the issues we have heard from the mountain of people,workers,traders, community groups, children,parents and more that we have spoken to. Wall at Luas stop at the Four Courts. Could this be in need of LOVE???? ?